Washington Wizards point guard John Wall is expected to miss around two weeks of action while recovering from left knee discomfort and inflammation. 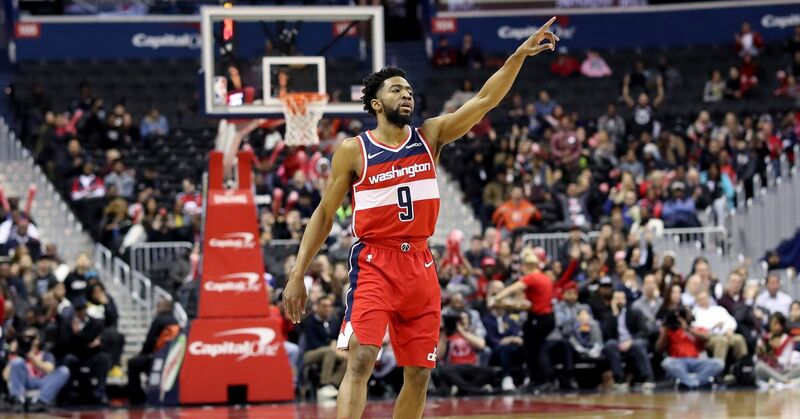 The Wizards announced the timetable Saturday and noted Wall, who suffered the injury Nov. 7 but missed just one game with the ailment before undergoing an MRI on Friday, will receive platelet-rich plasma and viscosupplementation injections to treat the inflammation. Wall suffered a shoulder injury earlier this season, though he played at least 77 contests in each of the last four campaigns entering 2017-18. The Wizards have Eastern Conference title hopes this season after they pushed the Boston Celtics to seven games in the second round of the 2017 playoffs, but their chances of delivering largely rest on Wall. He is the team's go-to playmaker, and he's coming off a season in which he tallied career highs of 23.1 points, 10.7 assists and 2.0 steals per night. The four-time All-Star is averaging 20.3 points, 9.2 assists and 1.1 steals in 2017-18. Washington still has Bradley Beal—who will surely take over as the primary option on the offensive end while Wall is out—but its point guard depth will be tested. Look for Tim Frazier to assume a larger role in the rotation, while Tomas Satoransky and Jodie Meeks can also serve as ball-handlers on the perimeter if needed.